Addis Ababa is used to hosting big and important meetings. The African Union and UNECA are both based here. A few weeks ago the UN Financing for Development conference brought several thousand visitors to Addis Ababa. And on Sunday evening President Obama flew in from Kenya. But this week Addis is also playing host to a smaller, quieter event – but an important one nevertheless. Seven library consortia have come together in Addis, hosted by the Consortium for Ethiopian Academic and Research Libraries (CEARL) and facilitated by INASP, to spend five days sharing ideas, learning, and collectively identifying solutions to some of the many challenges they share. But library consortia aren’t just clubs or networks of libraries: they play a key role in enabling a strong and effective research and knowledge system. By enabling their member institutions to collectively purchase online journals and books, consortia are making a critical contribution to improving the quality of research and teaching. That means contributing to more robust research, and better learning environments for students. 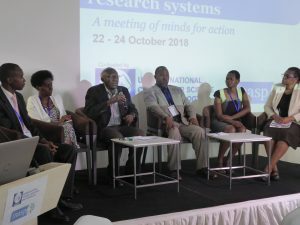 One of INASP’s strengths lies in its network – a fantastic reservoir of experience and expertise from across Africa, Asia and Latin America. Here in Addis we’re pooling some of that African expertise. What’s distinctive about this network is not just that this brings together individuals and organisations from many countries, but that it brings partners together who have found solutions to problems and done so in situations where resources – financial or people – are strained. 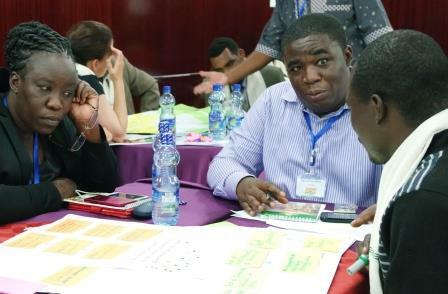 The group assembled in Addis this week – library consortia from Ethiopia, Ghana, Kenya, Malawi, Tanzania, Uganda, Zimbabwe which share a common ambition – and a common need – to ensure that their countries have good access to research. 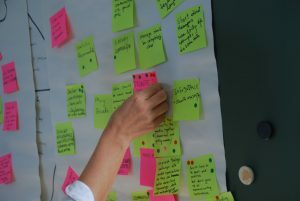 This requires them to work with publishers who sell journal and book collections (or in some cases offer them free of charge), build a membership base to raise funding, manage the set-up of online access, monitor usage, ensure users are aware what’s available, and offer a host of training and support to their members, and through them to students and researchers. And to do this they need to develop an organisational structure that enables them to collaborate to do this – developing management structures, planning and decision making mechanisms, financial systems, and approaches to communications and advocacy. They’re doing this as a collection of volunteers – all with demanding day jobs serving their institutions. 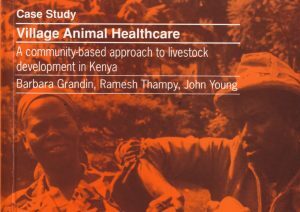 Critically, we share the aim of ensuring that whatever we develop, it’s sustainable beyond the life of INASP’s current programme of support (Strengthening Research and Knowledge Systems). This will be no small feat – particularly as the environment changes around us rapidly. A couple of days in, and our hopes for the week – and more importantly, those of the partners we’ve brought together – seem to be being realized. There have already been several examples where colleagues from one country have helped colleagues from another to begin to re-think ways of tackling problems that before seemed insurmountable. Colleagues from the Ghanaian consortium, CARLIGH, have talked about their approach to building a financial reserve, colleagues from the Uganda consortium, CUUL, had managed to secure free office space from a member university, and the Zimbabwean consortium, ZULC, have re-aligned their working groups with their new strategy, and MALICO, the Malawian consortium talked about the progress they’d made in developing a cost-sharing structure. And some of the conversations are collectively triggering new ideas – tapping into expertise closer to home, from business schools or marketing departments – and working together as a regional group more strategically. Practical sessions on problem solving, M&E and advocacy are all helping to tease out the ideas, and offer new tools and approaches. Sometimes the ideas are simple and the solutions relatively straightforward – but that’s the beauty of it. The simpler the better – it means participants can go home armed with some practical next steps. Particularly impressive was our host’s (CEARL) ability to persuade senior officials of the value the consortium brings to Ethiopian higher education. So much so that this morning we were joined by the Director General for Higher Education from the Ministry of Education, Dr Samuel Kifle, and the Vice President of Addis Ababa University, Dr Jeilu Oumer. It was clear, they said, that quality research and education in Ethiopia’s universities would depend on the work of CEARL, and its partnerships with other consortia in the region. 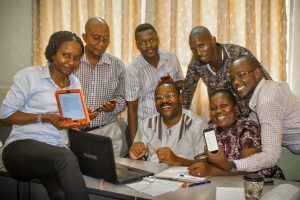 And of course by contributing to quality research and skilled graduates, they’re also helping to realize ambitions that many African countries share – that higher education and research achieve their potential to enable and advance national development.